Lawrence High junior Chisom Ajekwu gathers herself before shooting a layup in the first quarter of the Lions' 57-34 win over Shawnee Mission East in the Class 6A sub-state semifinals on Tuesday at LHS. 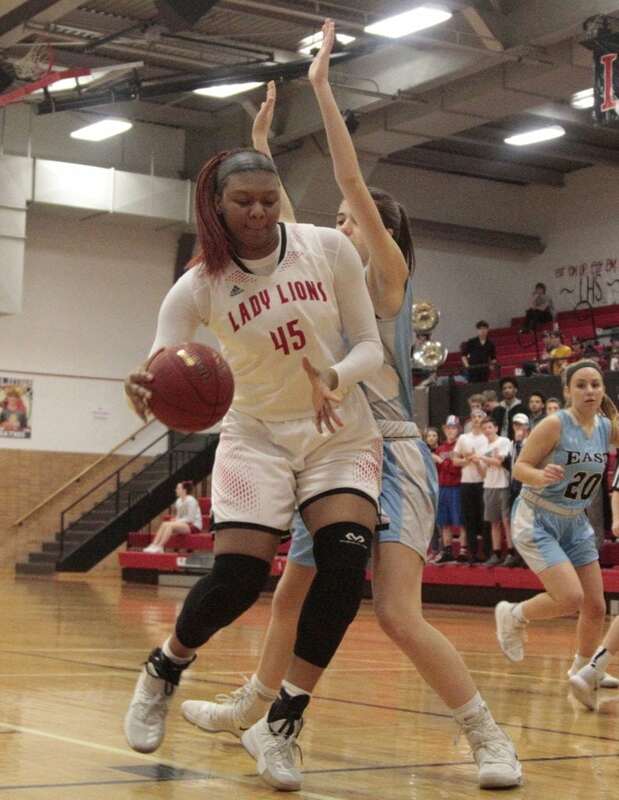 With an opportunity to stay close to home, Lawrence High junior Chisom Ajekwu said it was an easy decision when she decided to verbally commit to play in the Kansas women’s basketball program. 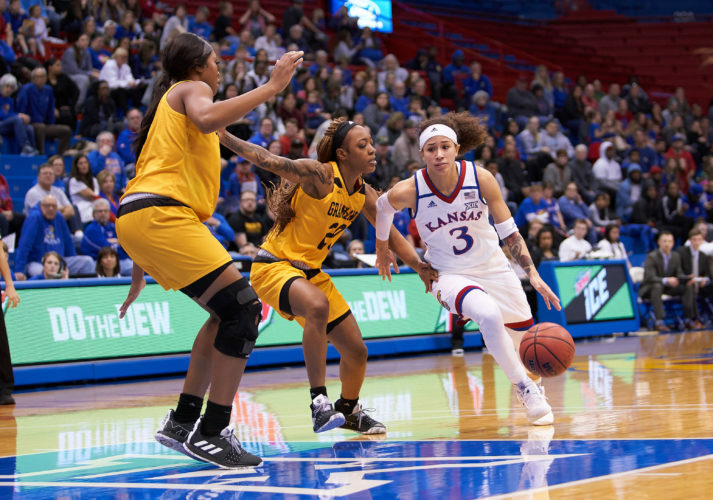 It’s a chance for her parents and four sisters to watch her play in nearby Allen Fieldhouse, and she can watch her sisters grow up. Ajekwu met with the KU coaching staff during her spring break last week and informed them of her commitment. She announced the news to the rest of the world via Twitter on Tuesday morning. A 6-foot-3 center, Ajekwu earned second-team all-Sunflower League honors this season, averaging a double-double with 11.9 points and 10.3 rebounds. She helped the Lions to a 17-5 record, constantly double-teamed by opponents in the paint but dominant on defense with her shot blocking ability. Ajekwu received a scholarship offer from Kansas in the summer before her sophomore year. She picked the Jayhawks over Missouri, Tulane, Oklahoma State, Nebraska and Wichita State, among others. Ajekwu first met Kansas coach Brandon Schneider during her freshmen season when the Lions played in KU’s team camp. She said her commitment will bring some extra responsibilities, making sure she represents KU and LHS as well as she can. Her goal was always to commit to a school before her senior year. When the basketball season ended at the beginning of March, she knew it was time to pick a school. Throughout the last few seasons, Ajekwu said she’s attended more KU games than she can remember. Many times she went with her sisters to Allen Fieldhouse, and some road games, to watch the hometown team. Despite visiting other schools, she thought KU always stood above the rest — “Nothing compared,” she said. But when she talked to her parents, she always joked that she was going to pick a school away from home.